Hey, thanks for dropping by. 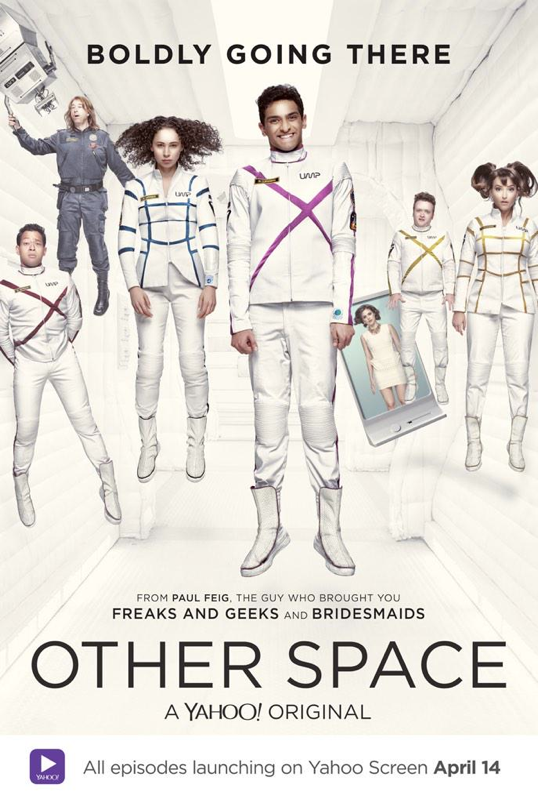 I wanted to mention that I’m really glad to be on my pal Paul Feig’s show, OTHER SPACE. You can catch it on Yahoo Screen. It also features a really great cast including the brilliant Trace Beaulieu who plays “Art” the robot. I play Zallion Fletcher, that’s me, in the dark jump suit holding the robot. I’m the ship’s engineer who, incidentally, has been exposed to too much radiation. Parental note: It’s a wee-bit bawdy compared to the stuff we did on MST3K, however, I still think it’s really funny — it’s just not for kids. I guess I feel responsible to mention it because people used to bring their kids to the Cinematic Titanic live shows thinking it was MST3K and it made me so uptight. Here are some of the more interesting interviews I’ve done at artofthetitle.com, nerdist.com and thisamericanwifepodcast.com. I appear with my old buddy Jerry Seinfeld in an episode of “Comedians in Cars getting Coffee.”I feel it’s a pretty good portrait of what it’s really like when we get together, except, I usually don’t drink coffee. I am currently voicing the character of “Mayor Bill Dewey” in Rebecca Sugar’s beautiful new cartoon on Cartoon Network “Steven Universe”. Check the Cartoon Network website to find out more. Also, too, I started touring with my first “one man show” titled “Riffing Myself” which is basically the creation story of MST3K – stay tuned for appearances, I may be coming to a town near you! For interview, press iquiries & bookings, please contact me.